Stonewall has responded to an “inaccurate” article by the Sunday Times about a grant reportedly awarded to the charity by the Big Lottery Fund. The piece claimed £500,000 was donated to the LGBT organisation for its transgender rights activism, leading to accusations that the Lottery broke its rules on political donations. It also stated transgender activist Morgan Page – who works for Stonewall – would help decide where the money is most needed. The article, who refers to Page as a “former trans stripper”, has come under fire from Stonewall for containing “inaccuracies”. 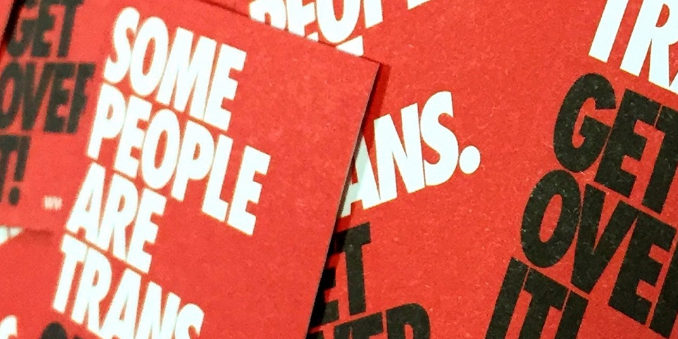 The charity said in a statement: “Today The Sunday Times have published a vicious article, directly placing an individual member of Stonewall staff at the centre of its criticism of our work. “While a newspaper should scrutinise, and provide a platform for different views, it must also be accurate. “This article contains a number of inaccuracies and we will be making a formal complaint to the paper. The Sunday Times article claimed the grant has been criticised by some for being too “political”. Earlier this month, the Big Lottery Fund said it will review a planned grant to transgender children charity Mermaids, after a thread started on Mumsnet by TV writer Graham Linehan urged opposition to the funding. The public body, which is responsible for distributing funds raised by the National Lottery for charitable causes, received a number of messages regarding a planned £500,000 grant to the charity, which works to support transgender children and their family. We’re grateful to those who have taken the time to write to us, and in light of the nature and volume of the communication we have received, we have decided to undertake a review of this grant,” a spokesperson for the Big Lottery Fund said in a statement. An article in the Sunday Times quoted a private Mermaids Facebook group celebrating news of the funding, reporting that the grant would enable Mermaids to create a network of 45 groups nationwide. The news prompted Father Ted creator Linehan to start a thread on the “Feminism chat” forum of parenting website Mumsnet to discuss his opposition to the donation. “The idea of 45 Mermaids clinic opening around the country is terrifying,” he wrote.